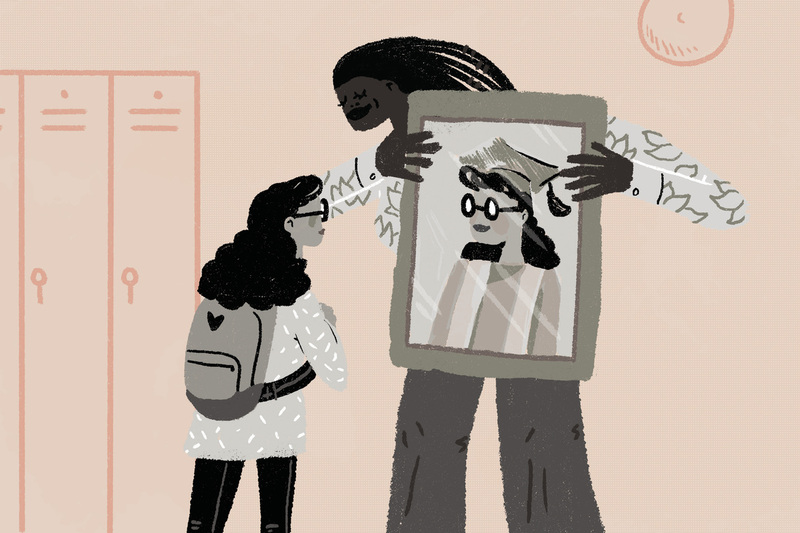 Having Just One Black Teacher Can Keep Black Kids In School : NPR Ed According to a recent study, having a role model at school who looks like you can have large and long-lasting effects. Having just one black teacher in third, fourth or fifth grade reduced low-income black boys' probability of dropping out of high school by 39 percent, the study found. And by high school, African-American students, both boys and girls, who had one African-American teacher had much stronger expectations of going to college. Keep in mind, this effect was observed seven to ten years after the experience of having just one black teacher. The study is big. The authors, Seth Gershenson and Constance A. Lindsay of American University, Cassandra M.D. Hart of U.C. Davis and Nicholas Papageorge at Johns Hopkins, looked at long-term records for more than 100,000 black elementary school students in North Carolina. Then the researchers checked their conclusions by looking at students in a second state, Tennessee, who were randomly assigned to certain classes. There they found that not only did the black students assigned to black teachers graduate high school at higher rates, they also were more likely to take a college entrance exam. "The results line up strikingly well," says Papageorge. This paper is another piece of social science evidence reinforcing the case for having more teachers of color and for training teachers to be more culturally responsive. We've reported on instances of implicit bias by white teachers, even toward preschool students, that black students are more often recommended for gifted programs by teachers of color and that students of all races prefer teachers of color. And this isn't news to many African-American families who already feel strongly that their children need role models in their education. Khalilah Harris has experienced the issue both as a policymaker and as a mother of three daughters. She was the Deputy Director of the White House Initiative on Educational Excellence for African Americans under the Obama administration. She recently transferred her two older daughters, 12 and 14, to a progressive private school to expose them to more diverse teachers and curriculum. "My youngest, who is 7, goes to supposedly the best public school in Baltimore City, but there is not any teacher of color there, and that is deplorable," she says. "If you grow up in a world that does not reflect your essence as valuable from birth, the fact that you don't have a teacher ... who looks like you, will cause cognitive dissonance." Papageorge says the "role model effect" that Harris describes is quantifiable. "Sometimes when I talk about expectations, people think I'm talking about magic fairy dust," he says, "but in economics, it's one of the biggest things that determine the kinds of investments people make." In other words, whether it's money you put toward a mutual fund, or time and energy you spend on your education, how much you expect to get out can determine how much you put in. If a low-income black boy never sees anyone in the classroom who looks like him, Papageorge says he might conclude, "'Hey, college is just not for me'. And then why would you work hard in school?" Yolanda Coles Jones of Charlottesville, Va., says she and her husband avoided the school system altogether. They homeschool their four children, two girls who are 9 and 7, and 4-year-old twin boys. She says they didn't see their local public or private schools "understanding the needed emphasis on black children seeing black faces." The family is part of a homeschooling co-op called Community Roots, that, Coles Jones says, was founded "to have an atmosphere that is safe for children of color to be in." In future research, Papageorge hopes to replicate the study and unpack the powerful and long-lasting effects observed. But based on the evidence he already has, he has an immediate policy recommendation. Having just one black teacher in his study made all the difference to students; having two or three didn't increase the effect significantly. Therefore, schools could work to change student groupings so that every black student gets at least one black teacher by the end of elementary school. "Should we hire more black teachers?" he asks. "Yeah, probably, but it requires more black college graduates ... We could push around rosters tomorrow, change the way we assign kids, and have some effects next school year, not 10 years from now."